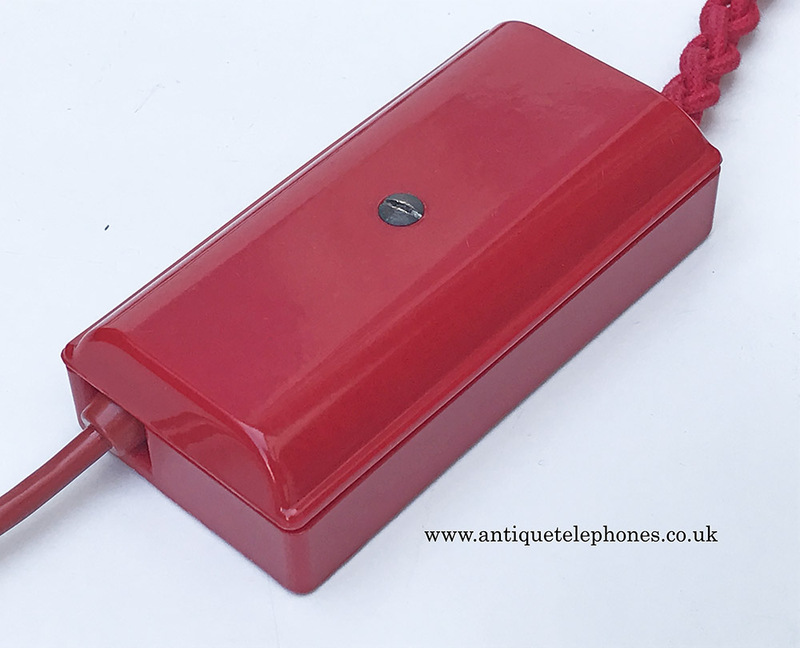 This is fitted with a pulse to tone unit. 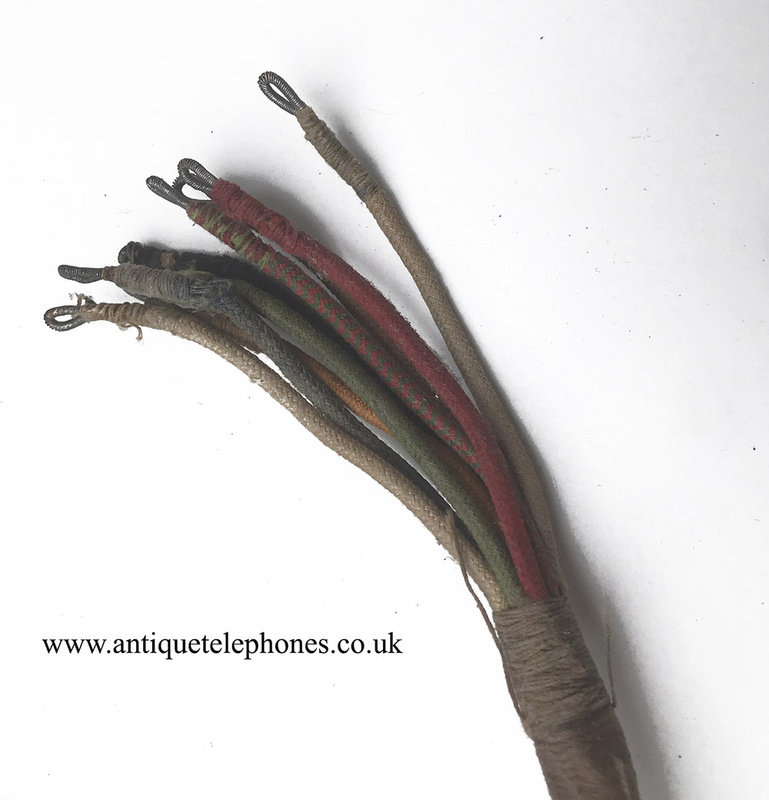 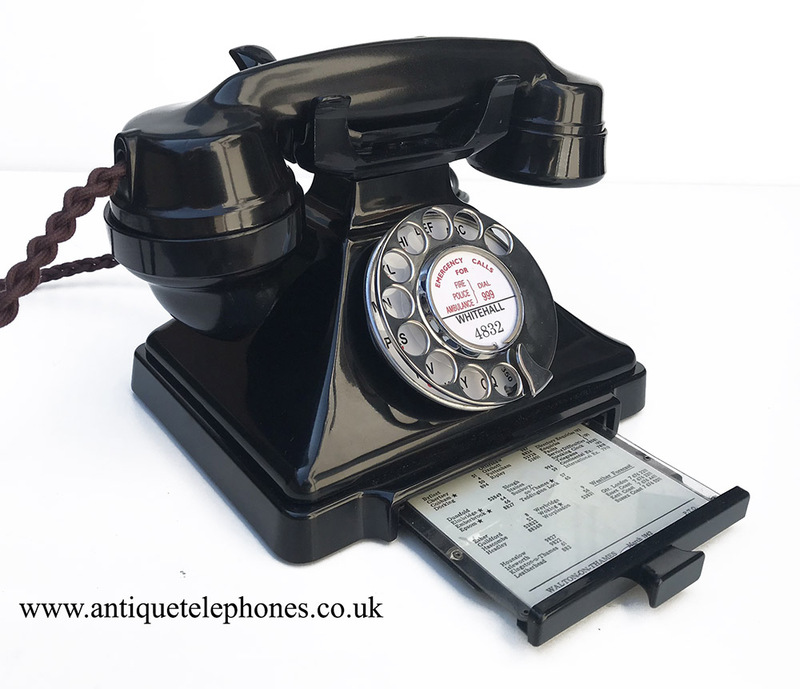 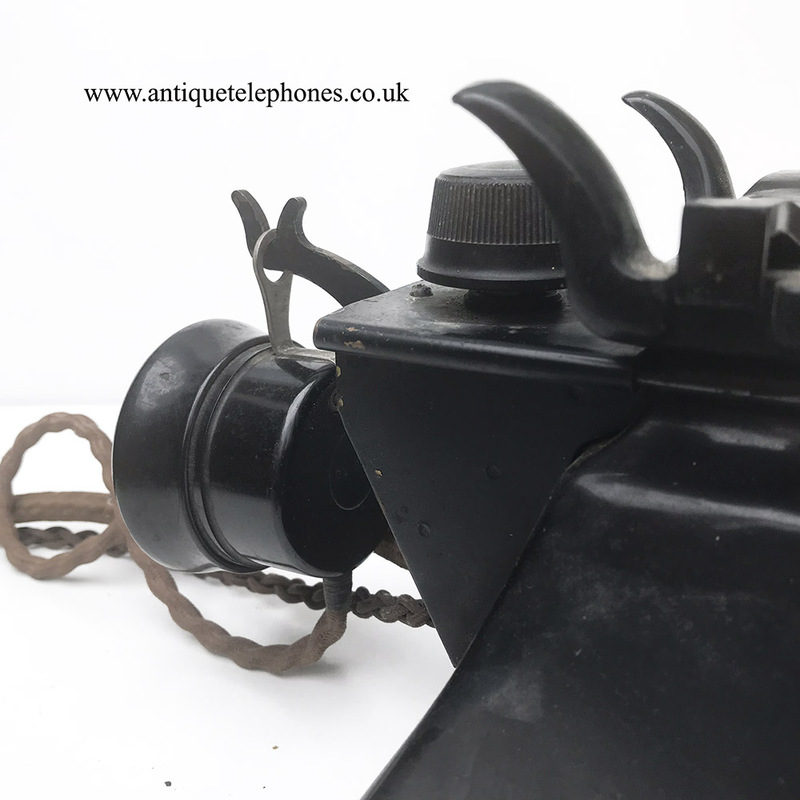 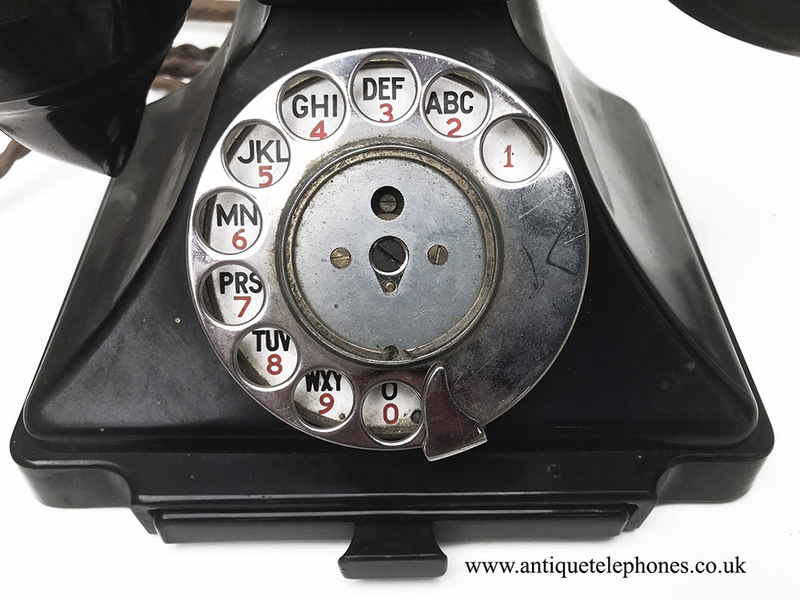 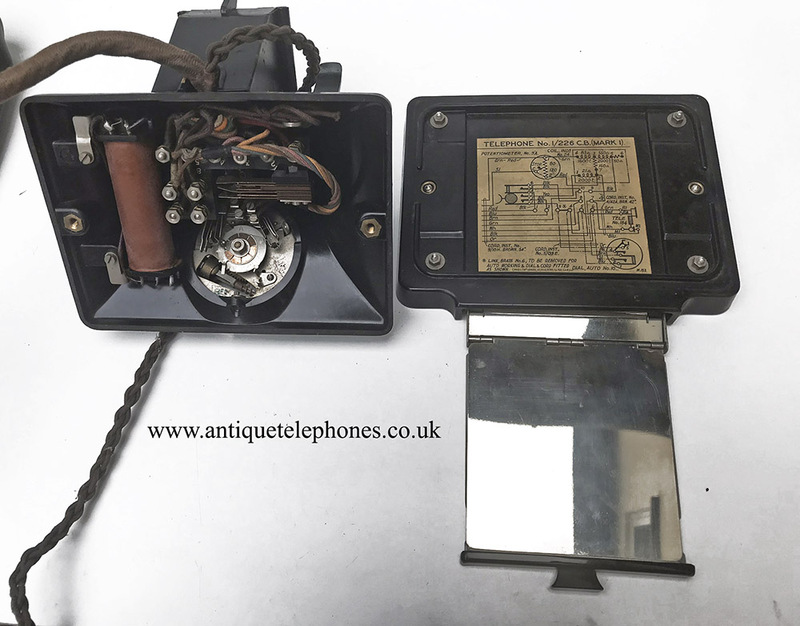 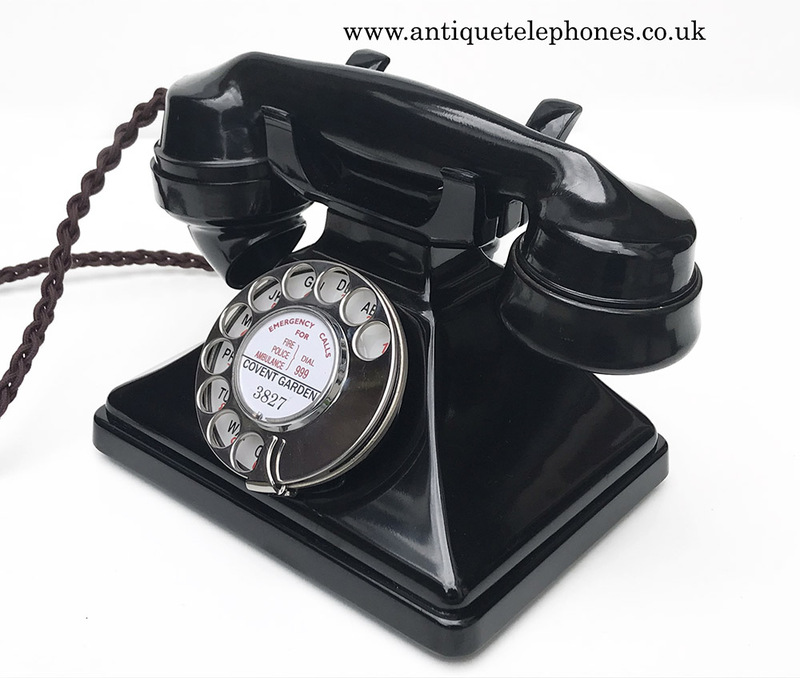 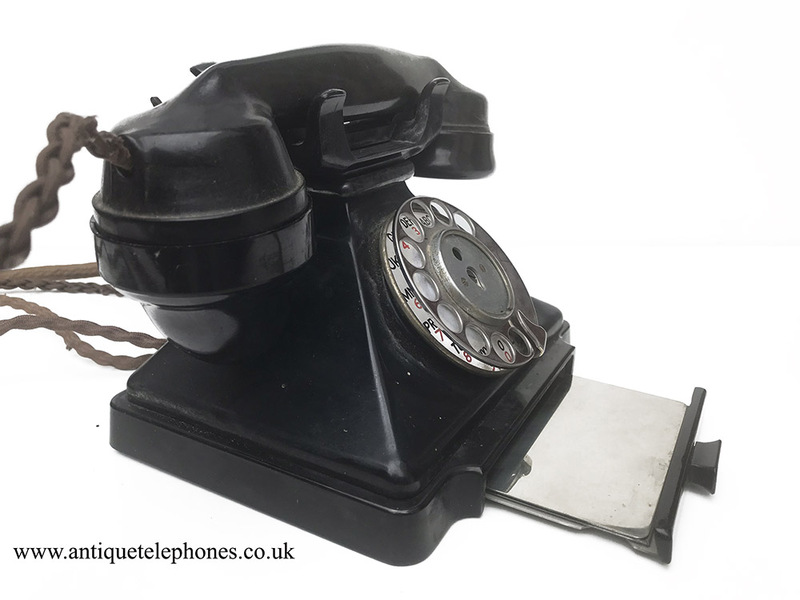 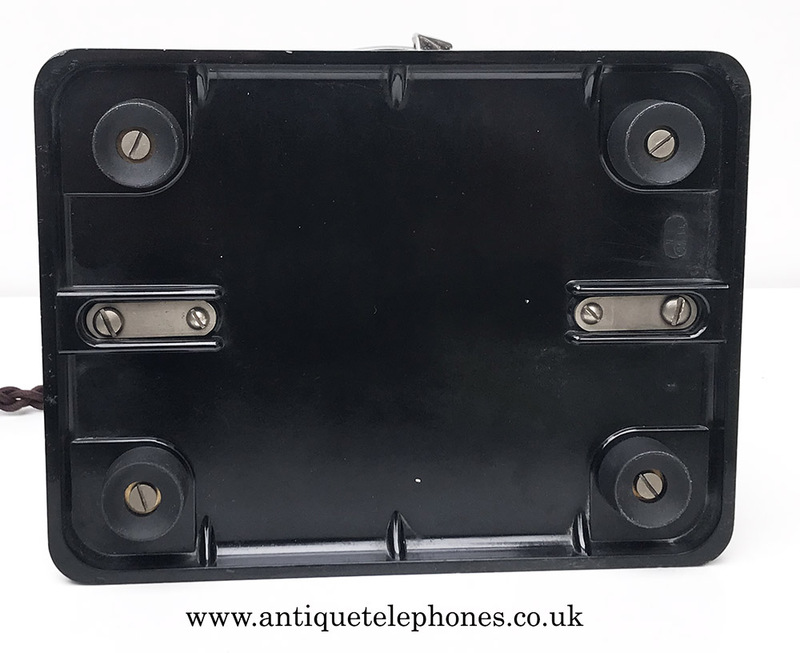 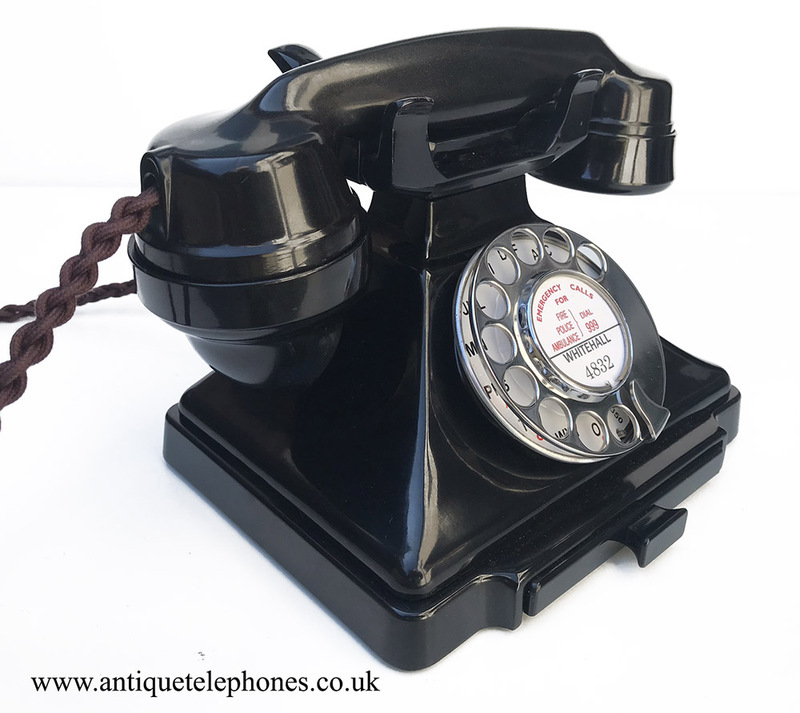 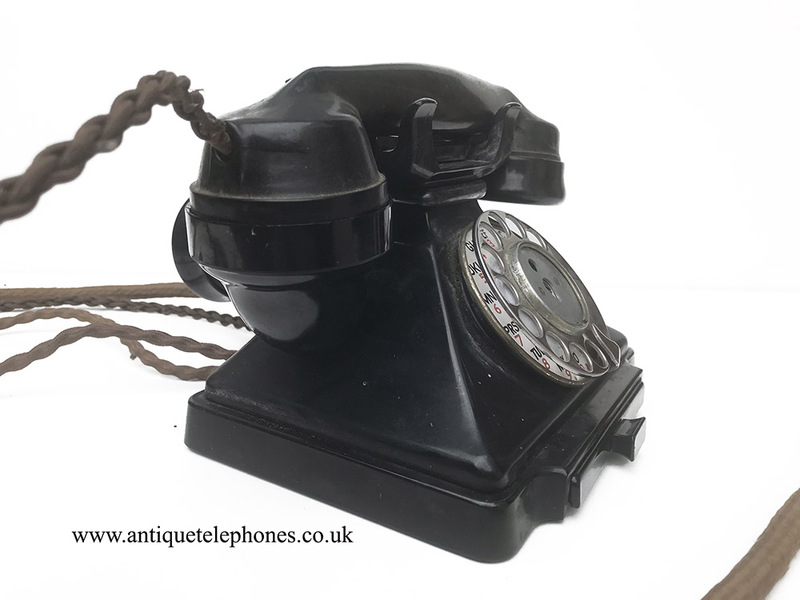 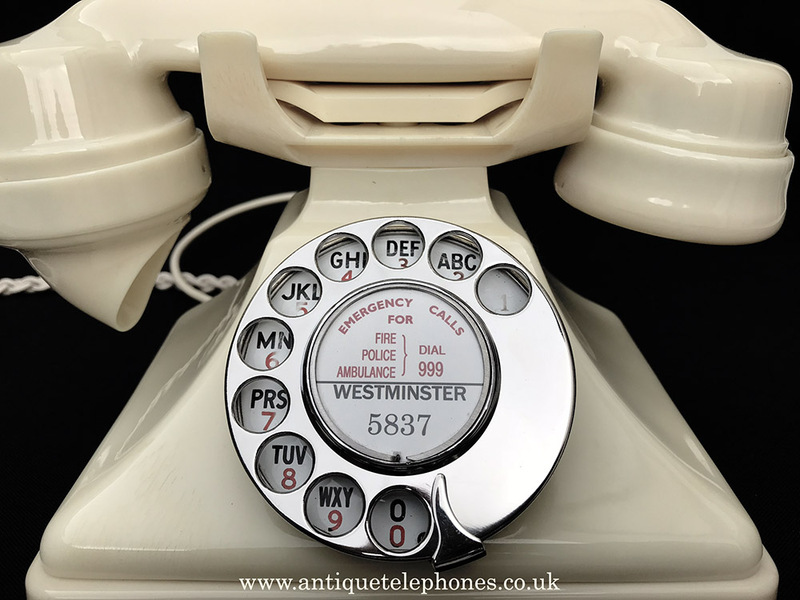 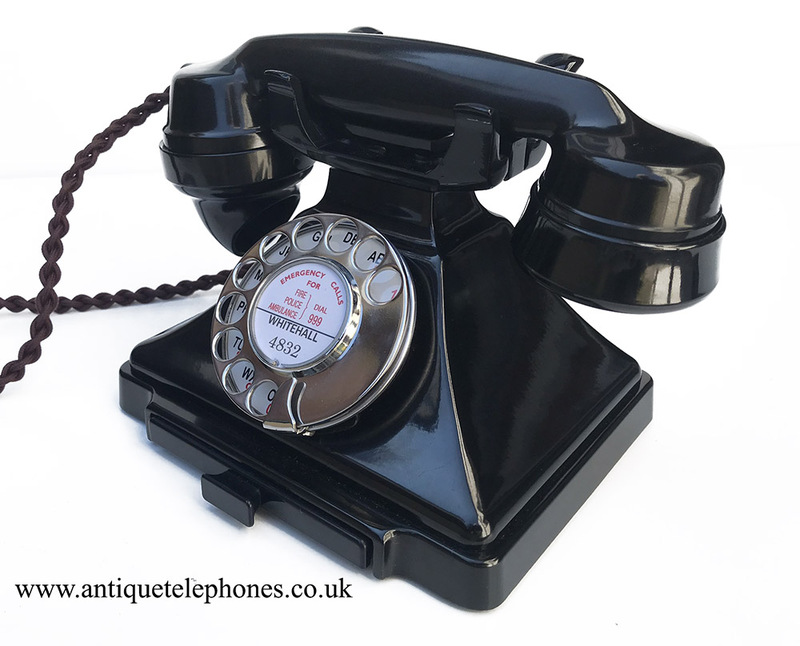 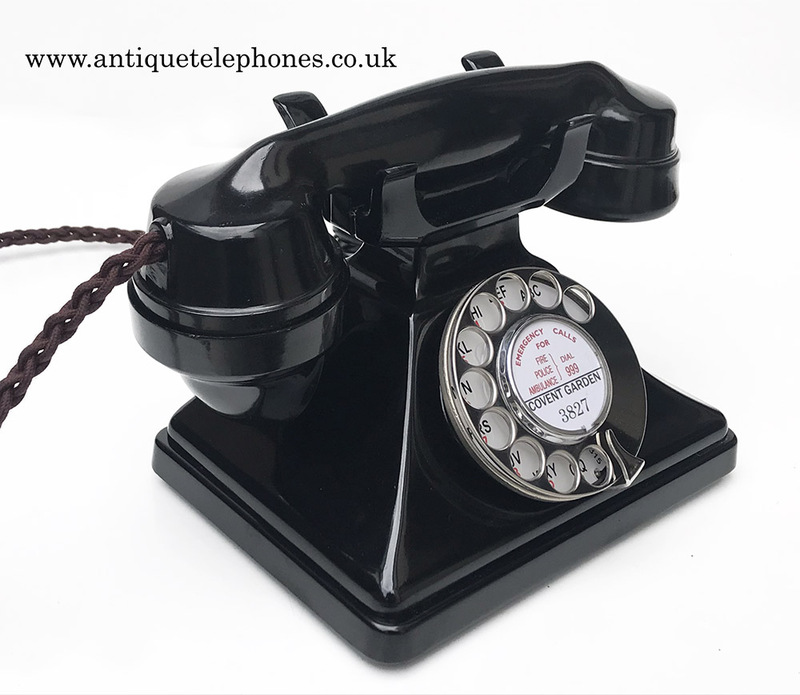 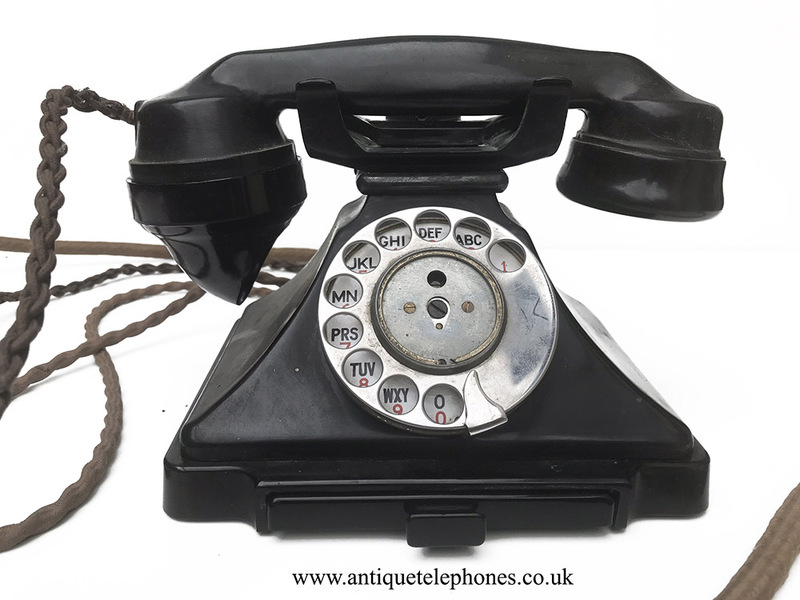 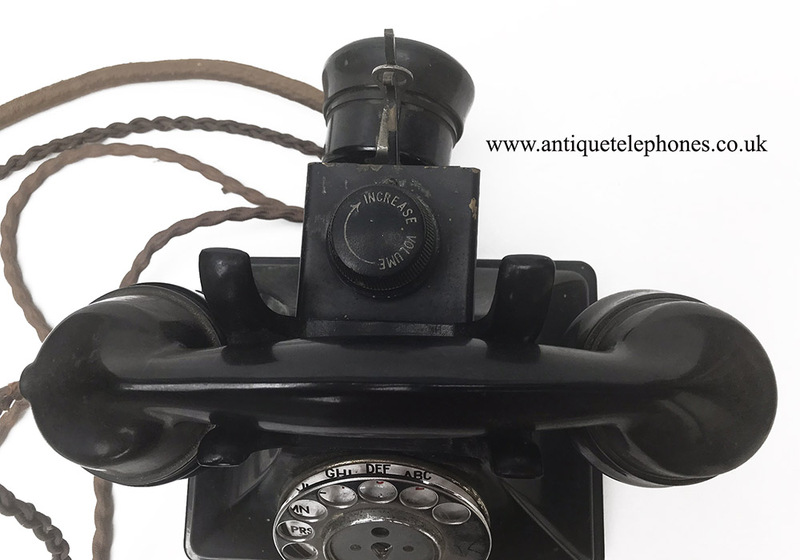 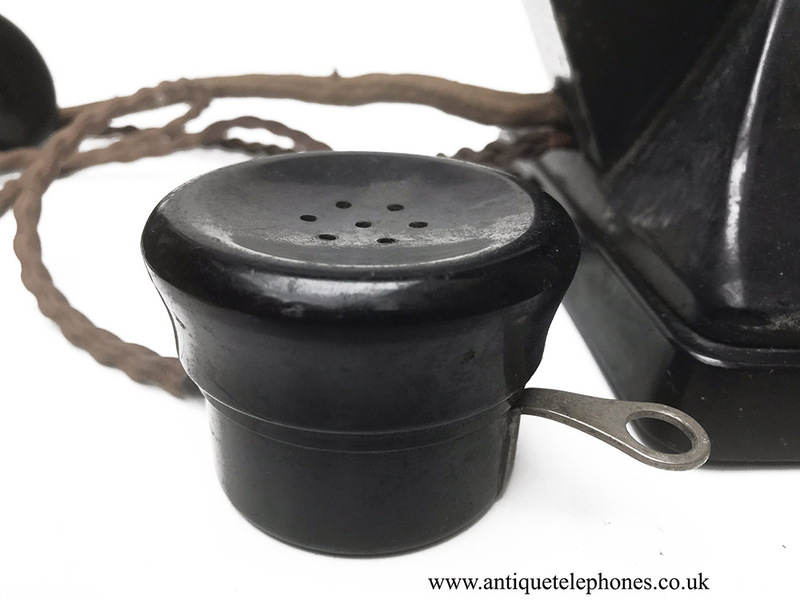 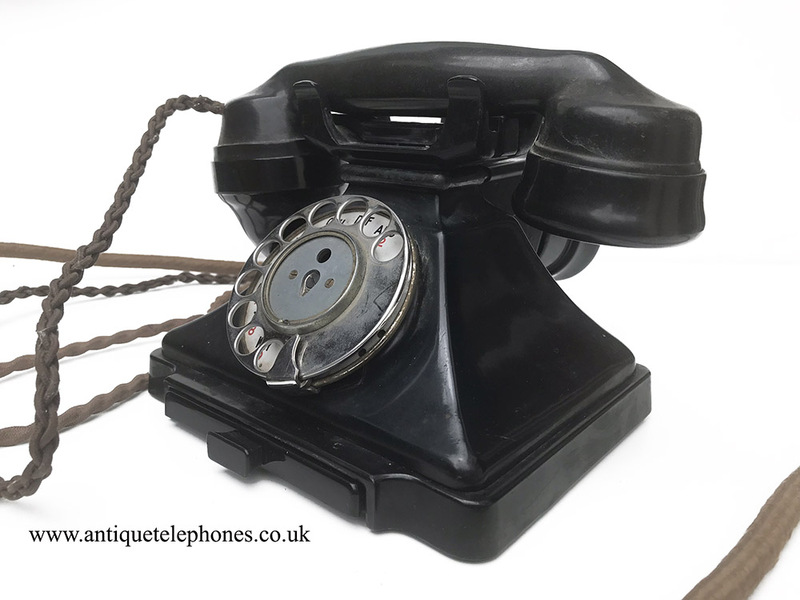 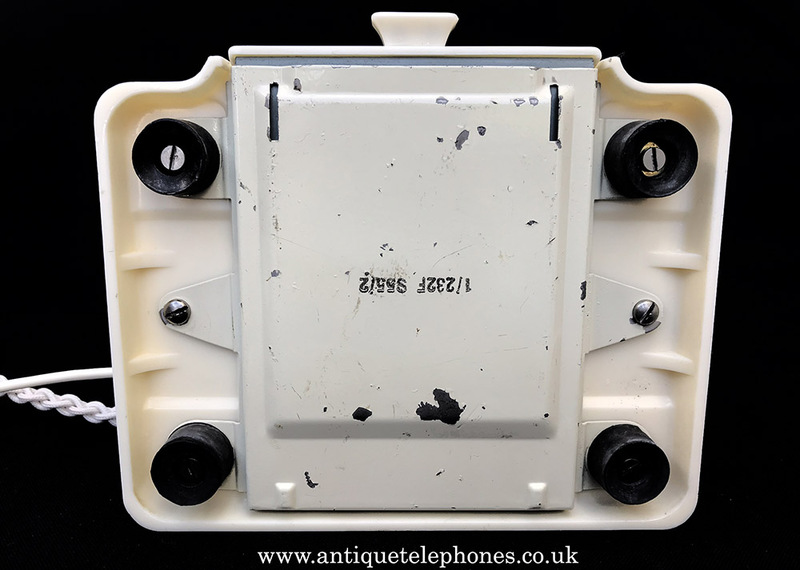 This is a genuine telephone and bell set dated 1955 on the handset and 1956 on the base. 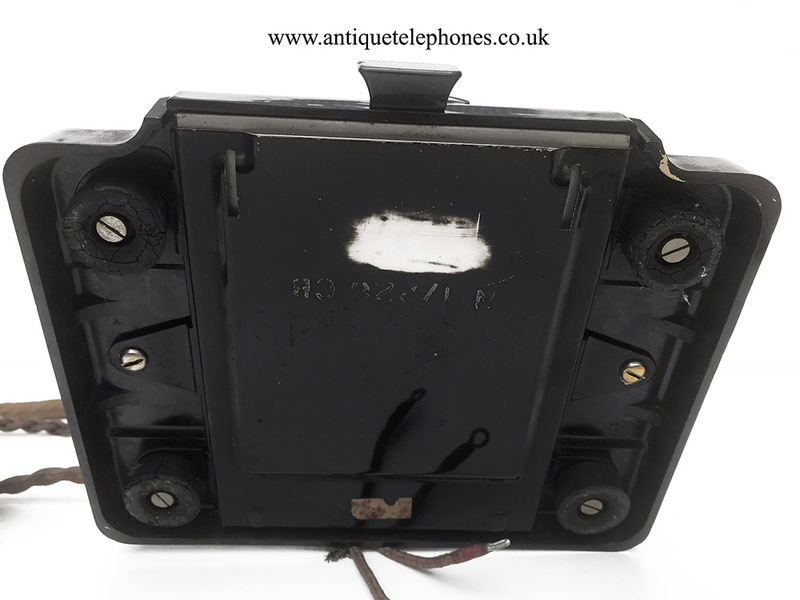 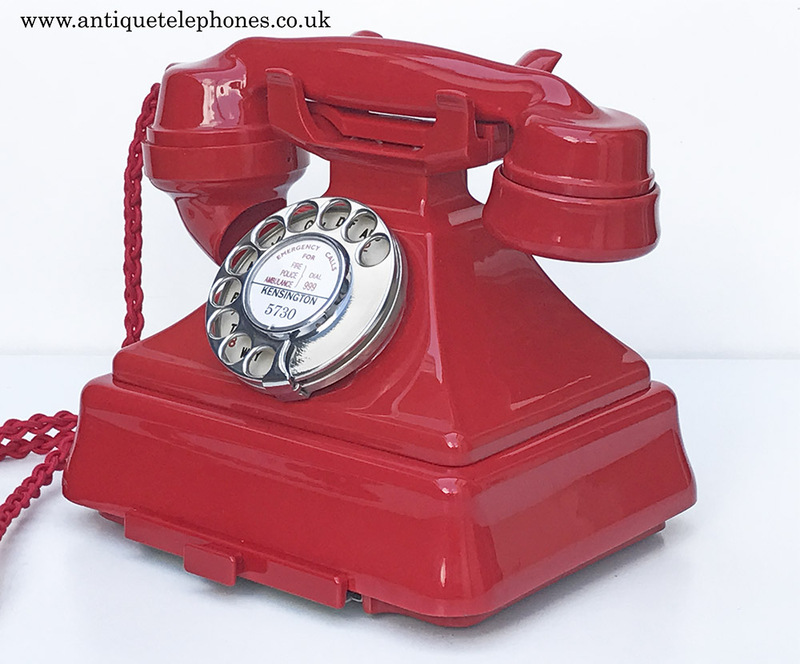 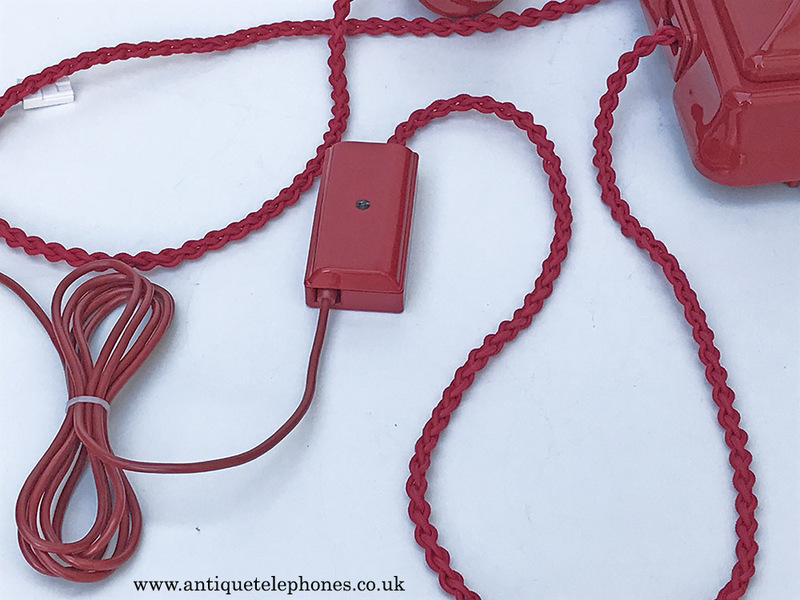 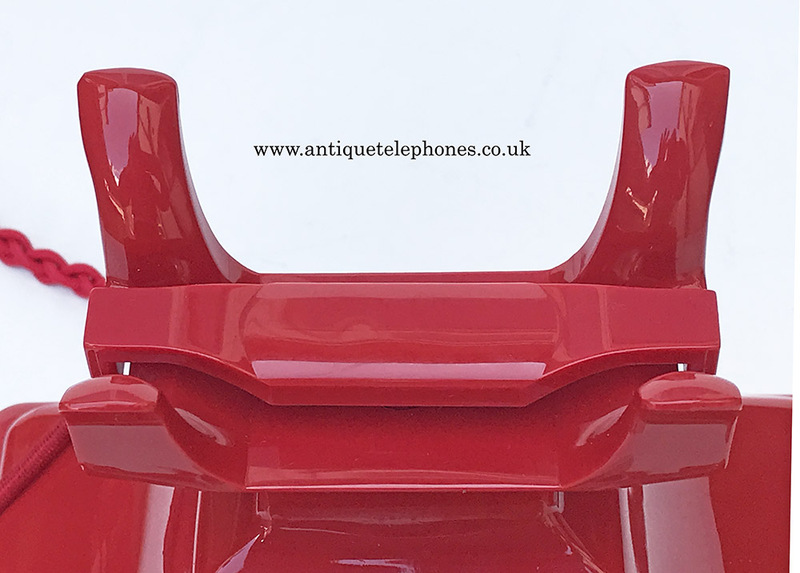 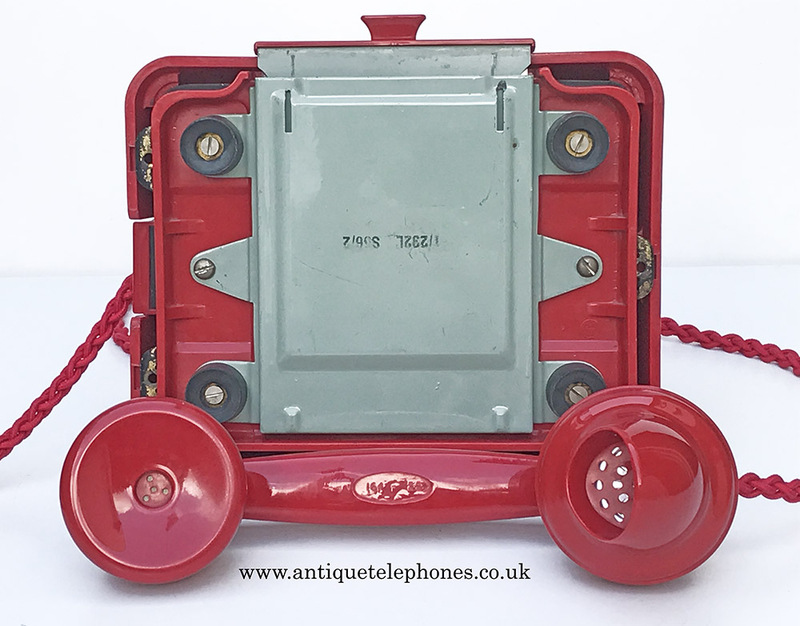 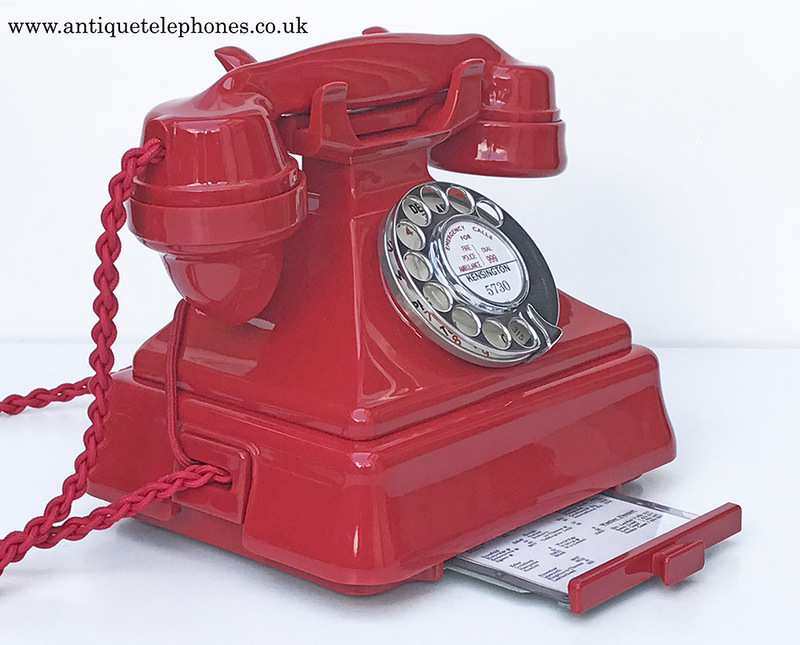 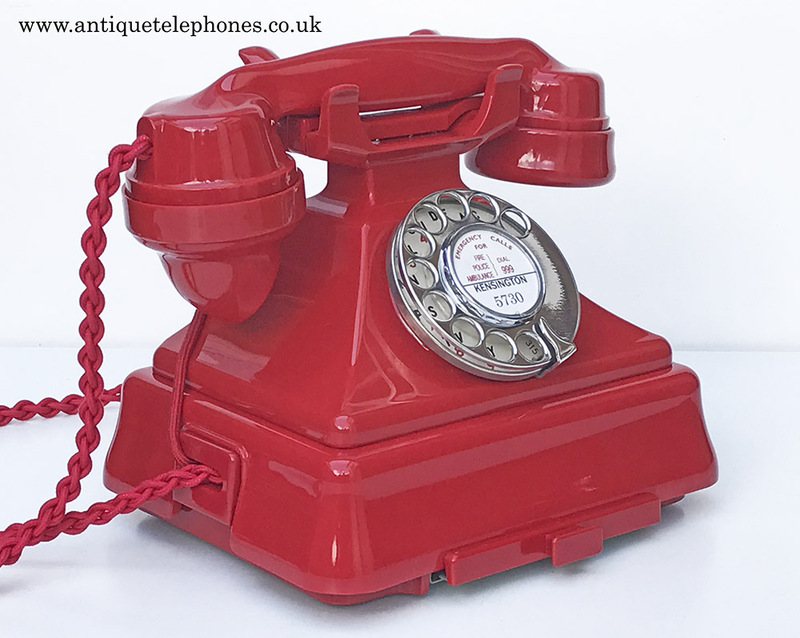 A 232CB Red Bakelite Telephone. 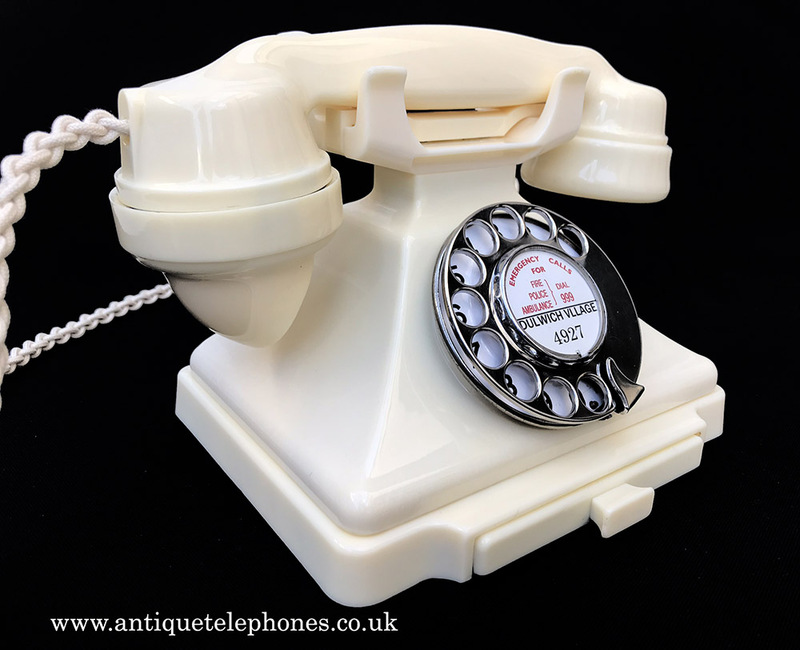 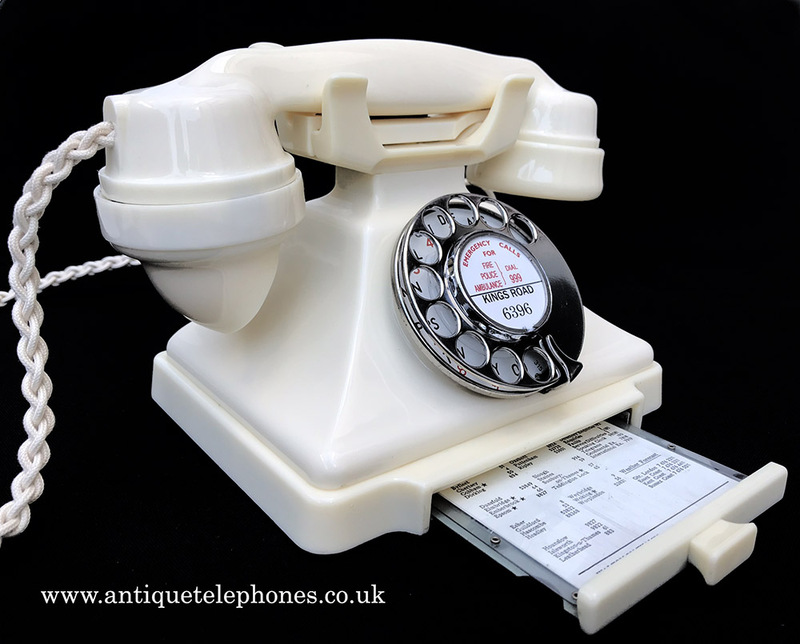 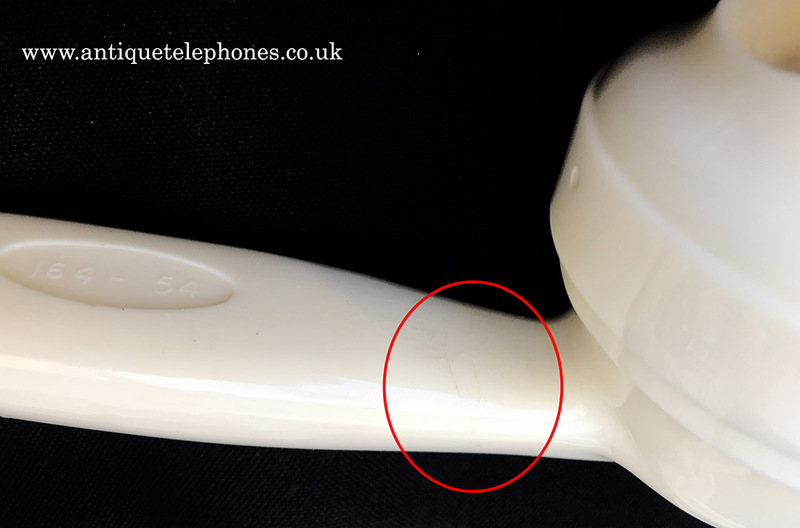 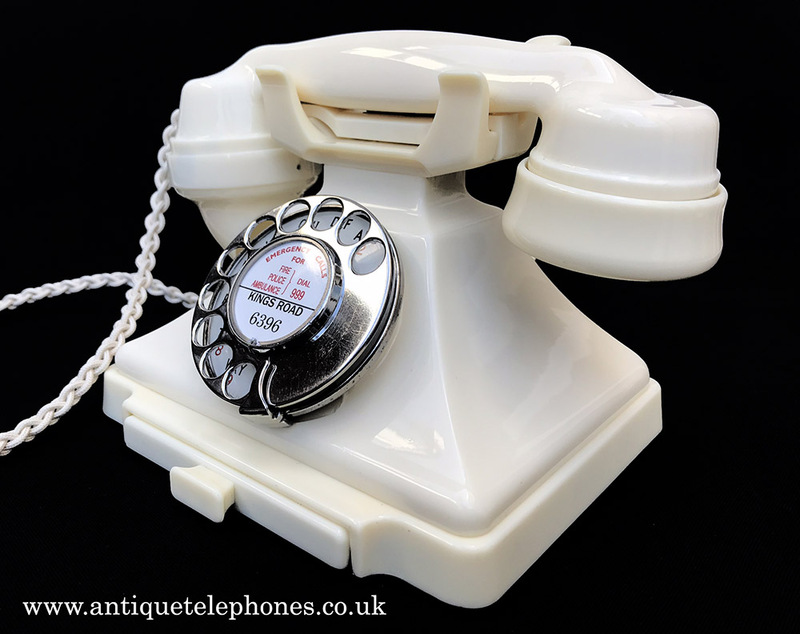 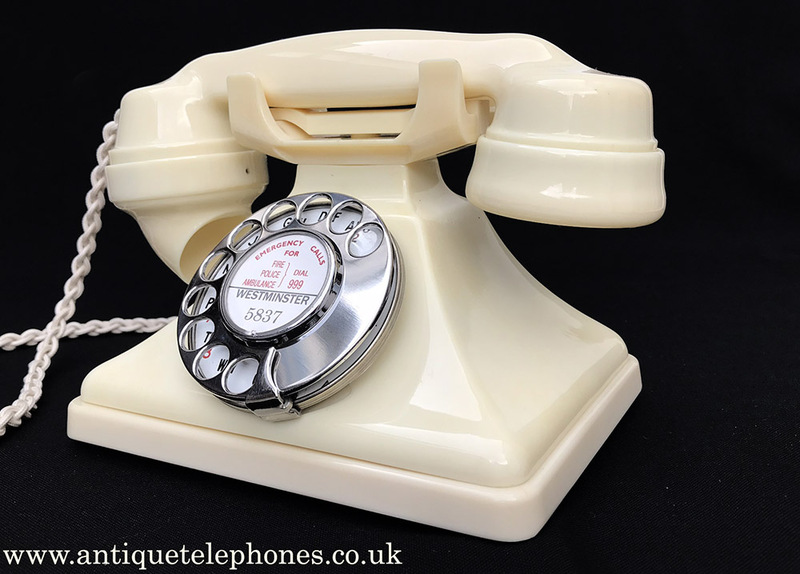 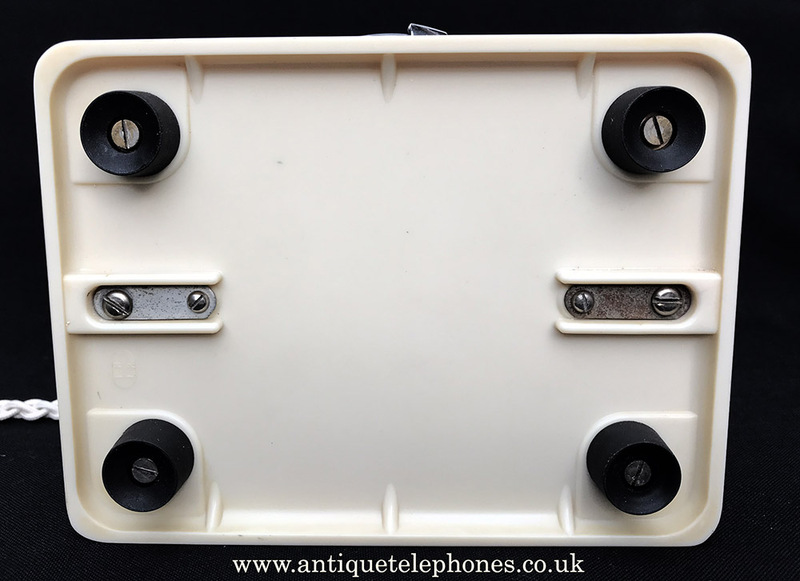 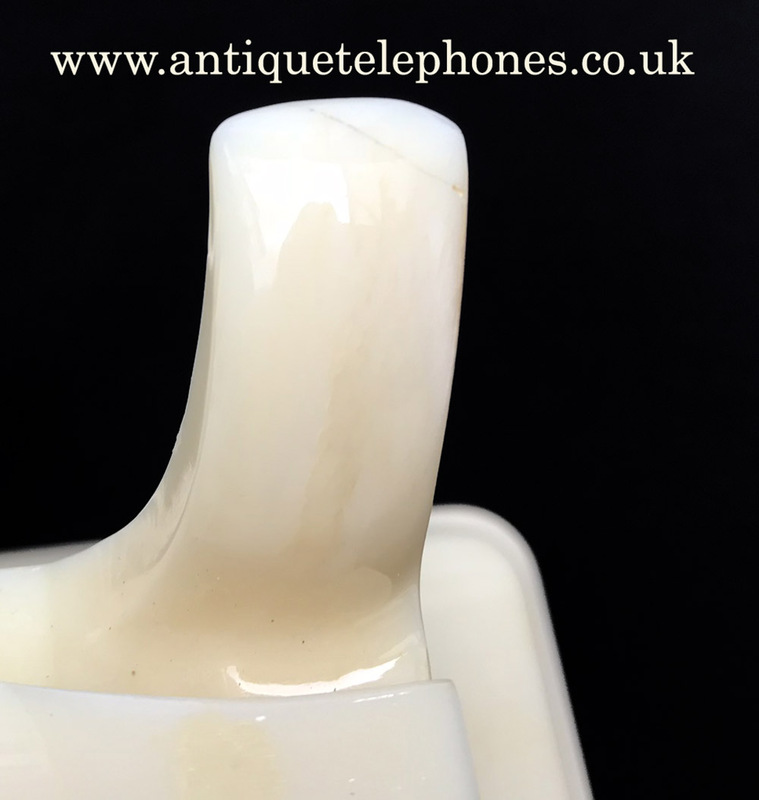 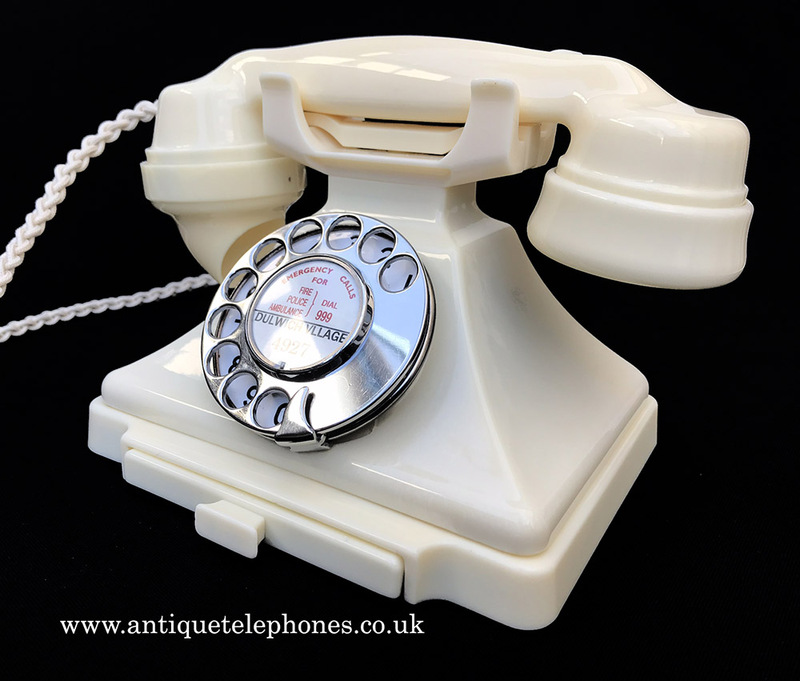 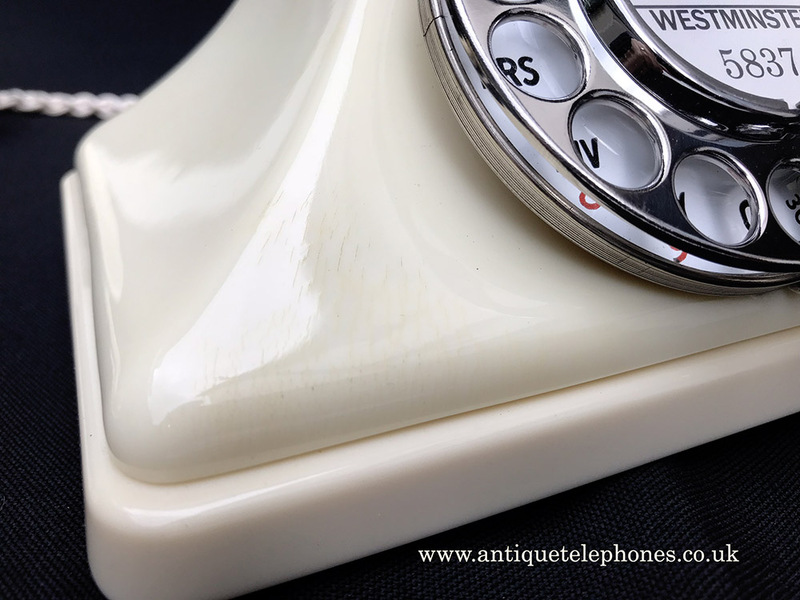 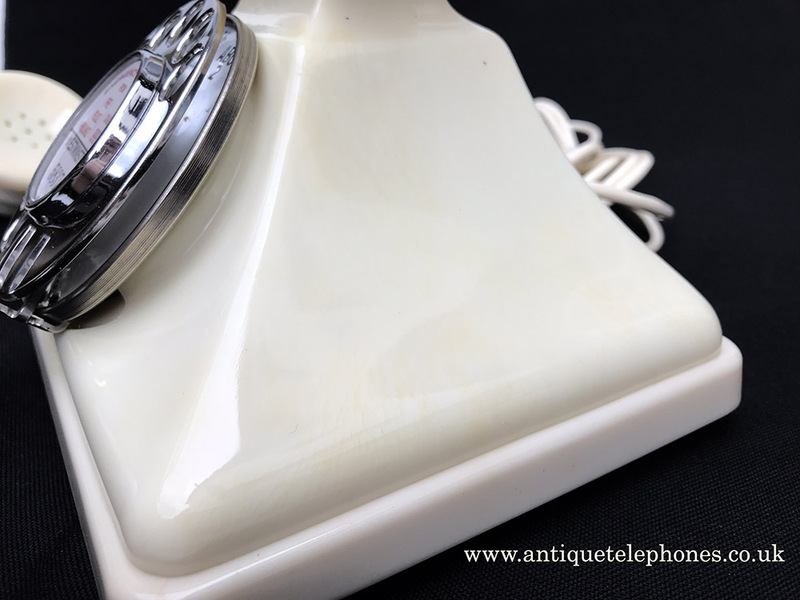 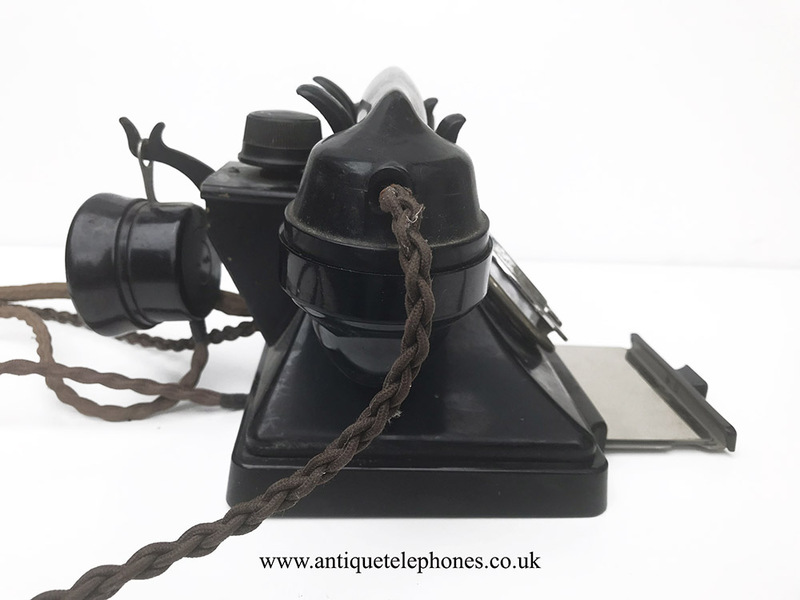 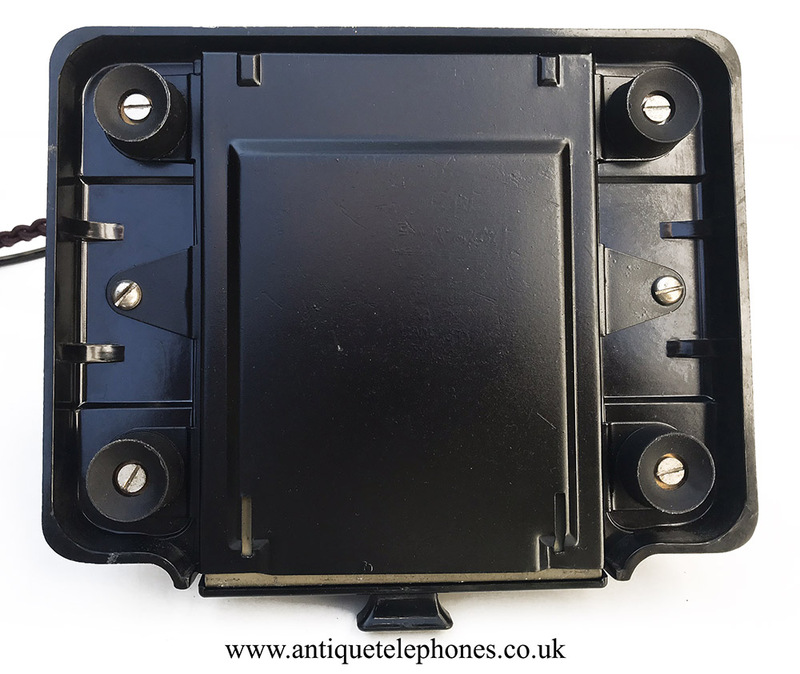 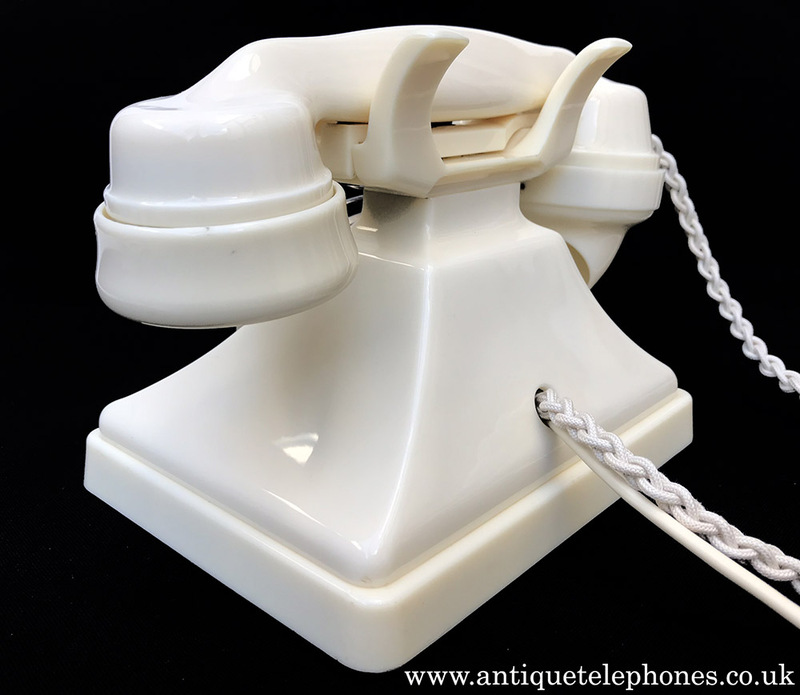 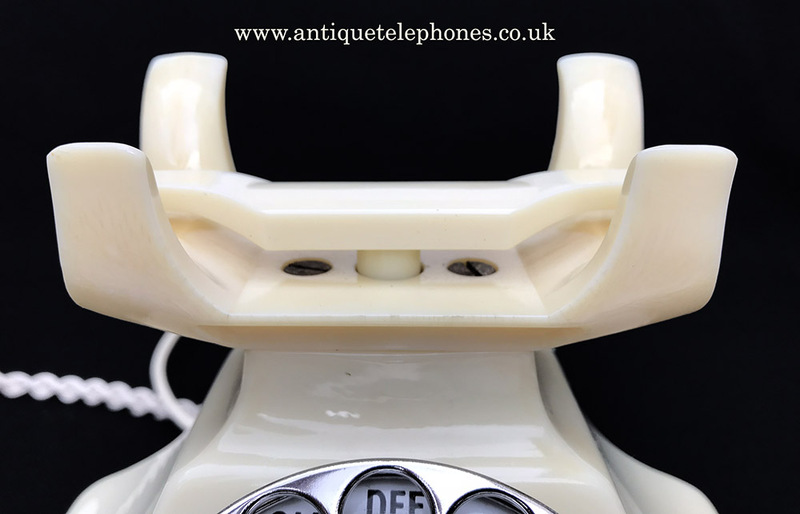 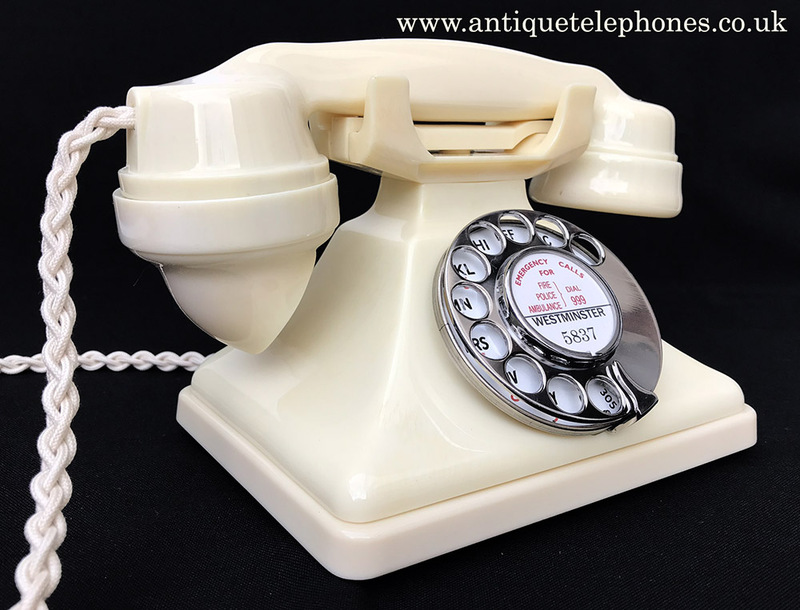 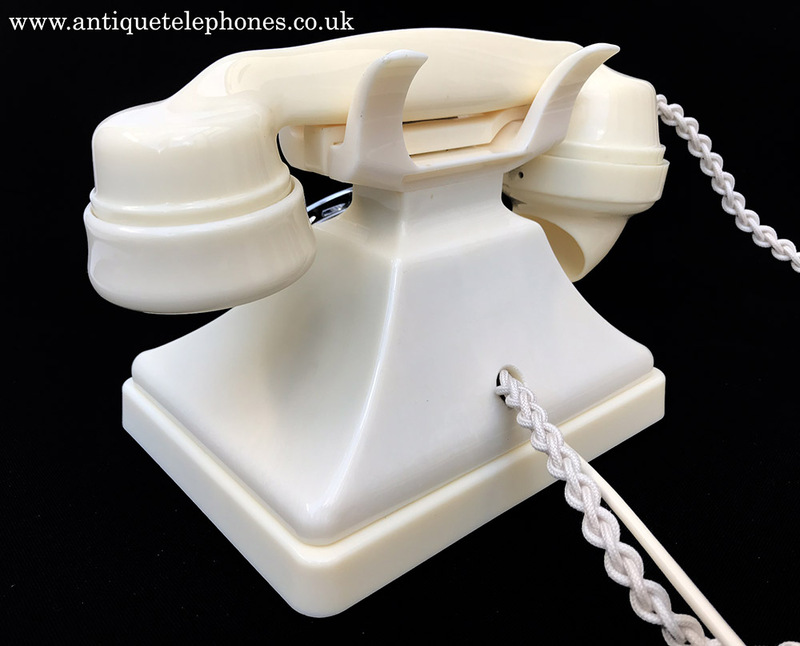 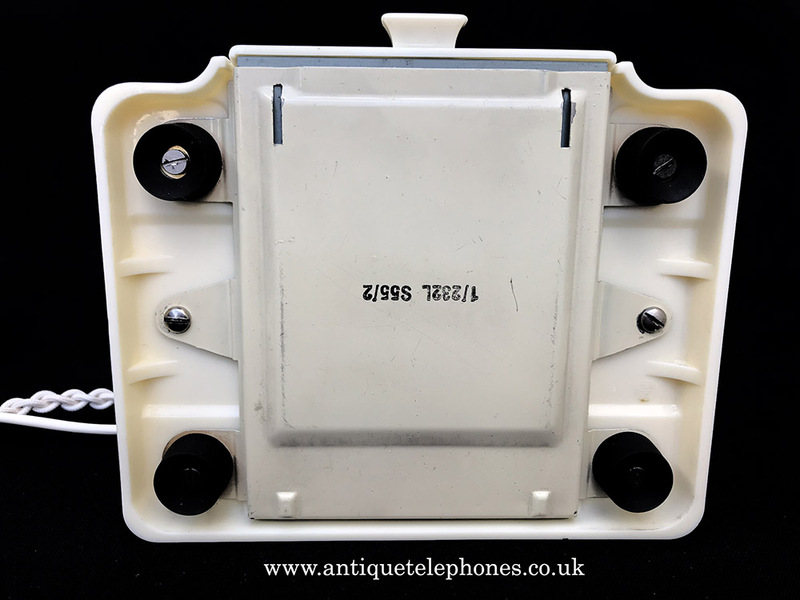 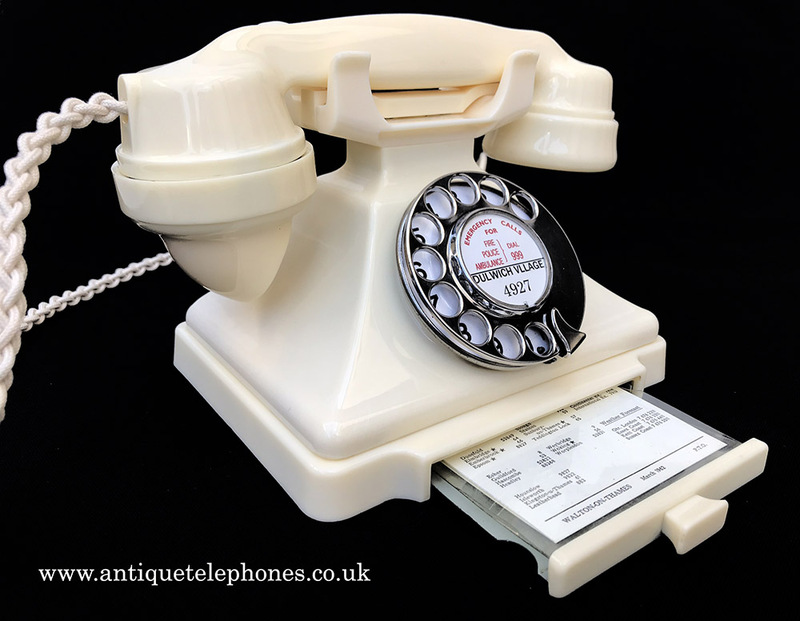 A 232L Ivory Coloured Bakelite Telephone. 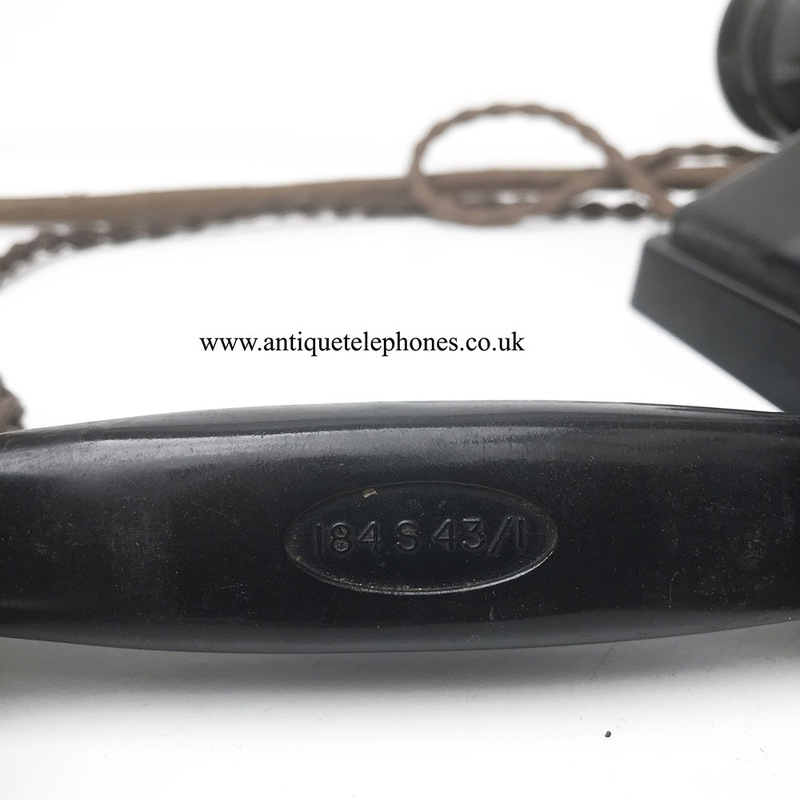 A 232F Green Bakelite Telephone.